You have a big day tomorrow, and although your skin has been clear for days, all of a sudden you notice a gigantic blemish on your face. Typical. As you scour the internet and call all of your friends to determine what the best treatment for your sudden pimple is, you hear tons of advice suggesting you use toothpaste to ban your blemish. Is toothpaste a reliable and healthy way to get rid of spots? Is there a better treatment for blemishes? Not surprisingly, there are reasons why so many people recommend toothpaste for blemish control, but there are an equal number of reasons why you’ll be better off using a true blemish product! Read on to find out more. What Does Toothpaste Do to Heal Acne? The first thing to understand is “How does toothpaste heal spots?” The primary ingredient in toothpaste that dries and heals blemishes is mint. Mint in any form, including fresh mint juice, has a drying quality to skin. Once a blemish becomes inflamed and visible, the best solution to healing it is typically to dry it out so that it flakes away from the surface. Toothpaste is, unquestionably, effective at drying out blemishes. Why is Toothpaste Harmful to Your Skin? So if the best solution for healing inflamed blemishes is to dry them out, why is toothpaste bad for your skin? After all, we’ve already determined that it’s effective at drying out blemishes. However, the key with any spot solution is to dry out the blemish without over-drying the skin. 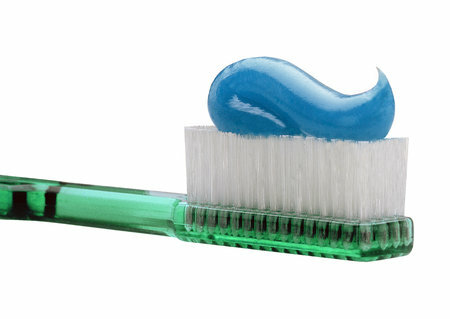 Toothpaste is formulated to clean plaque from your teeth. It’s obviously very powerful, and it will certainly over-dry most skin. When you over-dry your skin while healing a blemish, you increase the chances that you’ll develop post-blemish marks or acne scars. While finding a spot treatment can be a challenge, finding an acne scar treatment or way to fade post-blemish marks can be even harder. You want to protect your skin from over-drying and future marks and scars. What’s a Better Solution for Spot Acne Treatment? The better solution for drying and healing blemishes is to use a product specifically designed to heal spot blemishes while maintaining skin health. A blemish spot treatment such as Murad Blemish Spot Treatment is an ideal solution. Murad Blemish Spot Treatment is formulated using sulfur, which has been used as a healthy skin treatment for centuries. Even the Romans bathed in sulfur hot springs to improve their skin health. Not only does sulfur dry spots out, it also heals the surrounding skin, reducing the immediate look of redness and irritation as well as reducing the future chance of acne scars and post-blemish marks. What’s the important thing to remember? In a pinch, if you have no other options and an uncomfortable and highly visible blemish, toothpaste can be an emergency remedy. However, for healthy skin and long-term blemish treatment benefits, you’ll want to use products designed for treating your skin – not for stripping plaque from your teeth! I’ve tried a lot of products for my breakouts but this one has worked very quickly & effectively. The rest of the line is keeping the acne under control; this product stops acne in its tracks!! This is the only spot treatment I have found that really works. It dries up white heads and surfaced pimples overnight – the redness is gone in 2 days. More cystic or underground pimples take 2-3 days, but it stops them at the point they’re at they wont get bigger or come to a head, they simply disappear in a few days – no scarring! Lasts a while too – I only have the trial sized one and it has lasted 5 months so far. This entry was posted in Acne and Spots and tagged Acne, Blemishes, spot treatment, Spots by muraduk. Bookmark the permalink.